Best Demat Account is something every potential trader and investor looks for. But Are You Sure the One You have Chosen is the Best One? Each demat account has its pros and cons and you have to see which account works the best for you based on the value it provides to its clients. Here we look closely at some of the best Demat accounts in India and you may confirm which one should you be using! So you have decided to try yourself in the world of Stock Market but are looking to taste the waters initially. That makes sense. It is advised to take baby steps initially, understand and learn how the market dynamics work before taking a full plunge into the market. Before you start looking for the best stockbroker in the country, list down your personal preferences and expectations from the broker. You can find details on the top full service and discount stock brokers on our website. However, here we are listing down some of the stockbrokers that suit well specifically to beginner traders or anyone who is looking to make small investments in the market. This list has been narrowed down on the basis of stock broker’s inclination towards entrant clients with a focus on client education, technology innovation along with staying economical for the clients. To be completely transparent to our audience, we have also listed out a concern or two that might affect beginners or small investors at the same time. ICICI Direct is one of the top financial services companies in India providing an array of services including stock trading. Beginners looking to start trading can easily get started by opening a demat and trading account with ICICI. With the 3 in 1 demat account by ICICI, clients don’t need to open multiple demat accounts for trading and fund management separately. It takes away the regular fuss of funds transfer between trading and bank accounts. Being a huge brand, ICICI provides wide physical presence across the country through its sub-broker and franchise networks. ICICI Direct offers one of the best customer services as part of its demat and trading business. The brokerage house offers a trustable brand name to its potential clients who may have trust issues with the trading industry and stockbrokers specifically. Well designed and high performance based trading application – ICICI Trade Racer. One of the concerns, however, is its relatively higher brokerage charges. Learn more about charges here at ICICI Brokerage Calculator. 5Paisa is one of those stockbrokers that has seen the quickest growth in terms of offerings and values brought to its clients. Backed by India Infoline (IIFL), 5Paisa comes under the umbrella of reliable stockbrokers in the country. However, recently the broker has separated itself from the parent brand and is working as an independent entity. In fact, 5Paisa has also been recently listed at the National Stock Exchange (NSE) as well as the Bombay Stock Exchange (BSE) now and certainly can be termed as one of the best demat accounts in India. Offers very low brokerage charges at ₹10 per executed order across the segments implying even if you trade in derivatives, its the same price per lot. Here is the 5Paisa Brokerage Calculator for your reference. By depositing an initial margin of ₹50,000 clients can get away from account opening and annual maintenance charges and get it for free. Even though 5Paisa is a discount stockbroker, it offers free research tips and recommendations which are very much necessary for beginners and small investors. Provides different trading platforms across devices including 5Paisa mobile app, reliable browser application – Trade Station and a terminal based software. The only concern with 5Paisa is that its browser-based application is not responsive in nature. Zerodha is the pioneer of discount broking in India. It actually took stock broking space by surprise by introducing the concept of discount broking where they charge nothing for equity delivery trade and fixed brokerage for other financial segments at ₹20 per executed order. Low brokerage charges take away that financial burden away from users looking to enter into trading for the first time. Feel free to use the Zerodha Brokerage Calculator to know more about the charges levied. 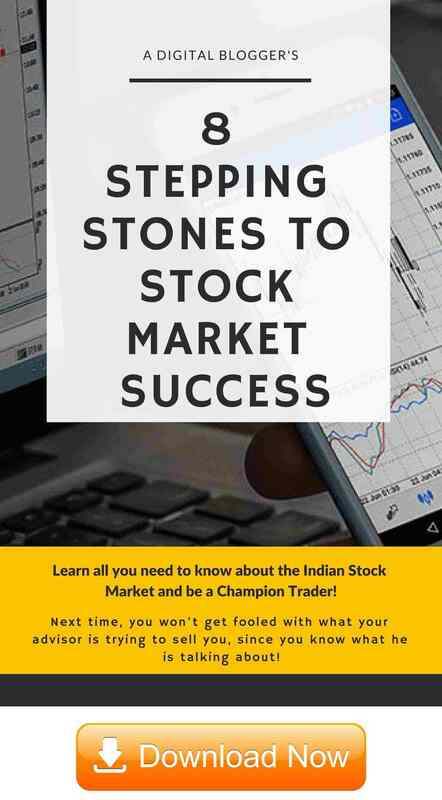 Comprehensive education repository Zerodha Varsity allows beginners to learn about stock market basics and intermediate understanding. With TradingQnA portal, small investors can take cues from other fellow traders and investors to take a judgement for their portfolio. Cheap and Direct Mutual fund investments through applications such as Zerodha Coin. 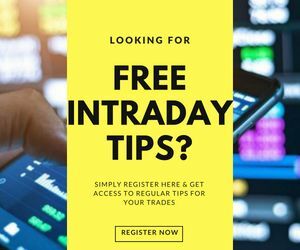 Wide range of applications such as Zerodha Sentinel, Zerodha Smallcase, Zerodha Streak etc that assist traders for a smoother trading experience. The concern with Zerodha stays on the fact that they do not provide any market research or tips to its clients as full-service brokers do. Sharekhan is one of the top known brands in full-service stockbroking space. It is known for its flexibility and coverage in the number of financial segments it allows its clients to trade in. Being a full-service broker, Sharekhan provides regular research reports, market tips and recommendations to its clients. This can be a great help for some beginners who would prefer to go ahead with the stock broker’s advice. Huge physical presence with 170 branches and 2200+ franchise partners across 575 cities of the country. Advanced tech trading platforms such as Trade Tiger with high performance allow clients to trade with ease and comfort. A promising team of research experts that provides reasonable research quality. Trustable brand in the share market industry. High-performance trading application Trade Tiger is suitable for intermediate to expert level traders. 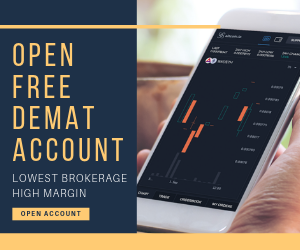 Sharekhan is known to charge pretty high brokerage charges across segments and that stays as the main concern of opening a demat account with it. You can check this Sharekhan Brokerage Calculator for further understanding of the charges levied. Angel Broking is one of the leading full-service brokers in India. It is known to be one of those stockbrokers that provide decent value in any every aspect related to broking. Like Sharekhan, Angel Broking is also a full-service broker and thus, provides research reports and tips to its clients. High coverage across the country with its sub-broker and franchise network. In fact, Angel Broking is ranked second in its geographical coverage across the country. The research provided across fundamental and technical levels makes it one of the best demat accounts to be used. For beginners, the only concern may be its customer service which is okayish and is not one of the best. However, you have to see whether you would need much of it anyway. In the end, we would just like to reiterate on the fact that there is nothing like a “Best” stockbroker(as such) – it always is the “Best” stockbroker that “suits” you and goes with your preferences. We would also like to mention that make sure you don’t go ahead with a stockbroker that is not registered with SEBI. You might get such calls to open the best demat account and they might offer you the best of deals. But make sure to do a background check on such stockbrokers. We have reviews on more than 120 stockbrokers that are SEBI registered here at A Digital Blogger. The simple way to do that is – ask the caller the official website of the stockbroker. Once you browse the website, their NDSL or CDSL license number will be displayed at the bottom or the footer of the website, as a mandate from SEBI. We hope you get the best of the experiences during your trading. Still have more questions to get clarified? Why don’t you send your details and we will arrange a Free call back for you, right away! You may choose to read this detailed review in Hindi as well. i don’t have a demat account but I have done my MF investments through MF utility. How to start with that is which broker/demat ? A good list of Demat accounts. This is really useful for beginners. Hi I am having demat account with HDFC , want to shift to other service provider . Please confirm can I shift all my investment ( mutual funds) also without redeeming . Also confirm where to shift with minimum charges and swift operation.